Having accompanied editordude to Sedona, Arizona to await the birth of his daughter’s own daughter, I ended up with enough time to take a number of side trips around this beautiful jewel of the west. These side runs allowed me to take in incredible sights and views, visit other towns in the region, and check out native people ruins. Some of these I’ll share with my OB-brethren and sisters. If you don’t know where it is, Sedona is easily found about 130 miles due north from Phoenix or about 30 miles due south of Flagstaff – in the northern half of Arizona. The brilliant red rocks and mountains are so stunning, you realize why people live here – off in its own corner of the state. The red hills and cliffs that dominate the area are red due to all the layers of iron oxide, a mineral found in great abundance in sedimentary rocks. We’re talking some major geologic time. These rocks are old, man, and looking at them, you can see about 800 million years of sediment deposited in front of you. And wind and water have taken their toll over these last 275 million years. A vista from mesa outside Sedona. You must click on the image for a expanded view. 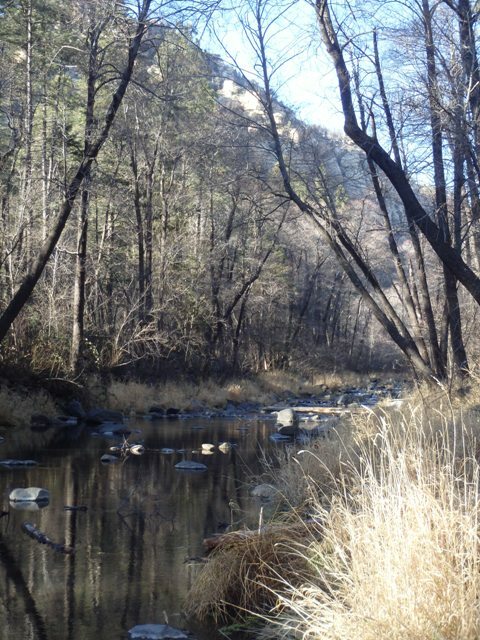 The Village of Oak Creek, 10 miles from Sedona. The town of Sedona lays at about 4500 feet nestled among the red rocks – much of them now declared parks. The town itself was established by white people in 1902 – the land having been stolen from the native tribes that lived in the area. Hollywood discovered it in the 1940s and 50s, and plenty of wild west movies were filmed with the red rocks in the background. 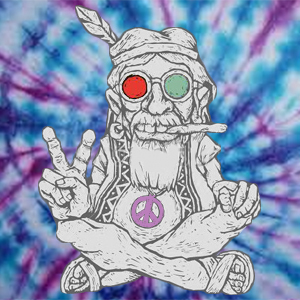 Then in the Sixties, spiritualists, bohemians, meditationists and hippies discovered it. The town has exploded over the last 15 years since I’ve been here last – growing three times its size. And it’s been taken over by old, wealthy, white people, most of whom have large, neoSanta-Fe-style homes with just the right hues to match the neighboring hills. It’s angering, though, to see how close to the red rocks houses are allowed to be built. It’s like people building right up to the edge of the Grand Canyon. Or right on the cliffs at Sunset Cliffs. 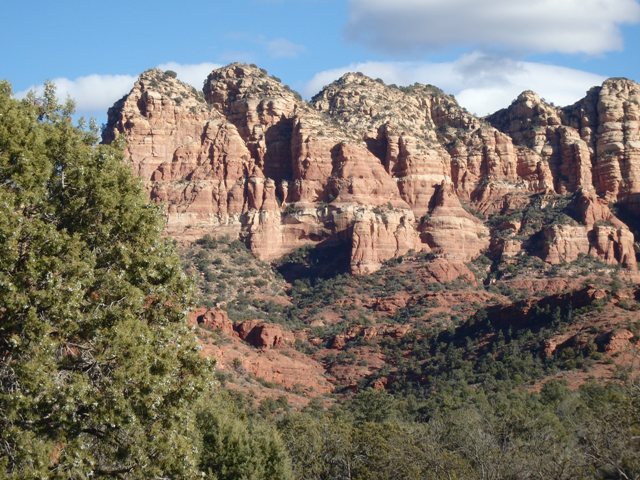 Many visitors to Sedona come for the spirituality that radiates off the rocks they have up there. 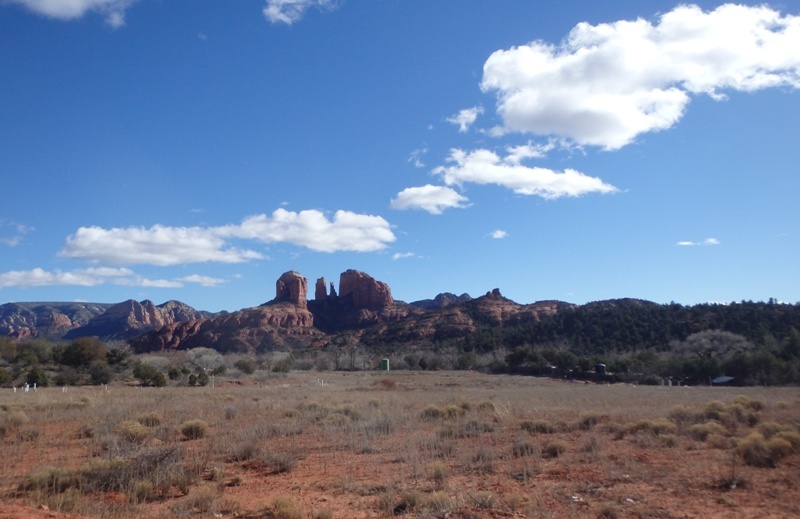 Some believe Sedona “to be a vortex mediation site, with places of power in the red rocks that enhance prayer, contemplation, and reflection for people of all faiths,” so says a recreation guide. There’s a church or temple here for everyone. Oak Creek on the road up to Flagstaff. 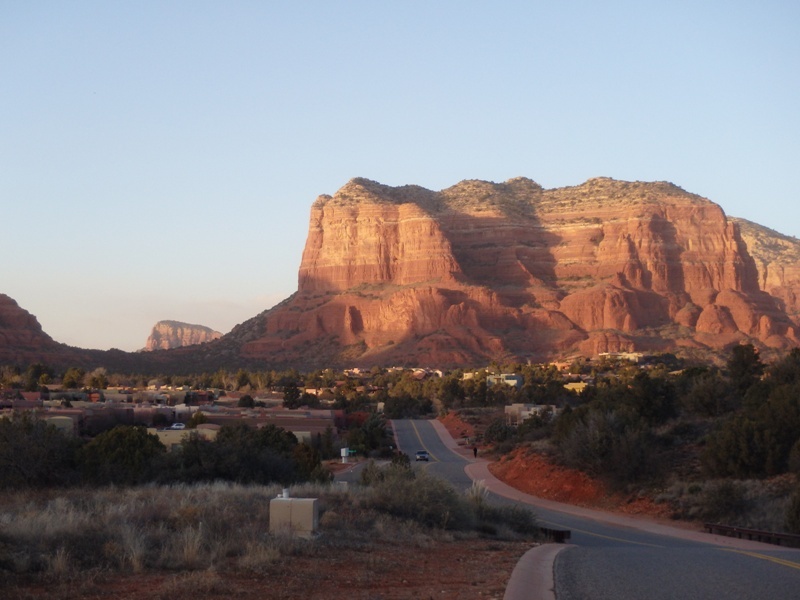 The main business of Sedona, of course, is tourism, and there’s lots of restaurants, inns, art galleries and jeep rentals along the main boulevard of the town, spread out for miles. Whole Foods is here, and Chipotle’s just opened a place. I wondered where all the people who work the restaurants and other service industries live, but there are a few low-key condo complexes and mobilehome parks for them. 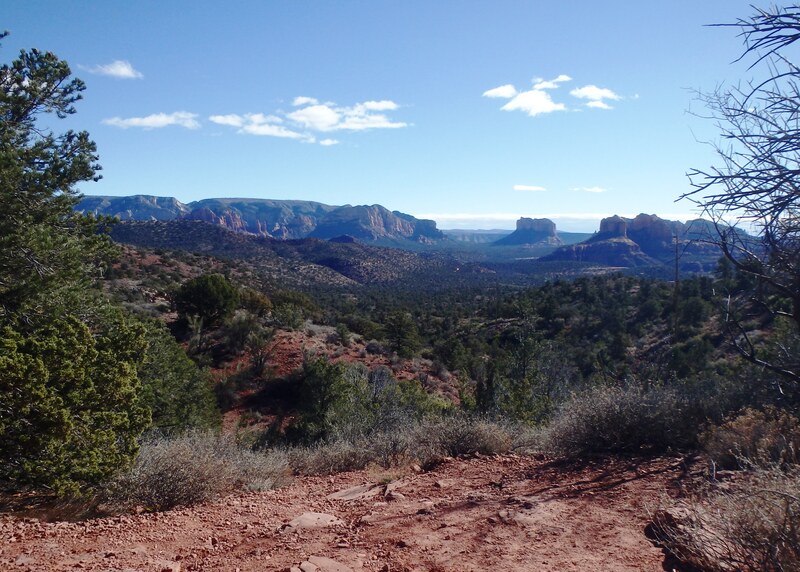 A trail and view found by following a road to its end, on the edge of Sedona. 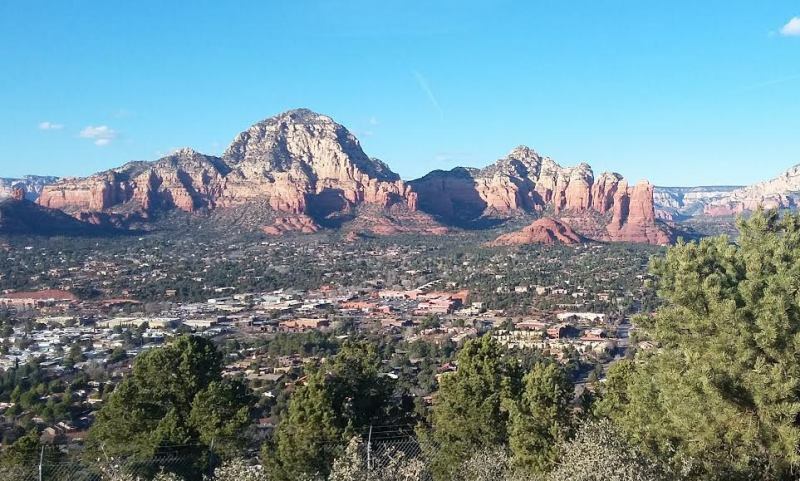 The nice thing about Sedona – besides the fact that around every bend is another stunning view – is that you can take a street or road off the main boulevard and in a few blocks you are right up against the red rocks with loads of trails in sight that wind into the canyons and up the bluffs. Or you can take a side road off the main tourist-track, park in a deserted section and scramble up the nearest hill to take in the breathtaking grandviews. Snow on the way to Flagstaff. Out of immediate view, there are prehistoric Indian cliff dwellings off in hidden canyons amongst the red rocks and the ancient ancestors of the Publeoan peoples left plenty of “rock art”- petroglyphs and pictographs. Some of their images, at least, were of calendars, such as the winter solstice. They had that nailed. 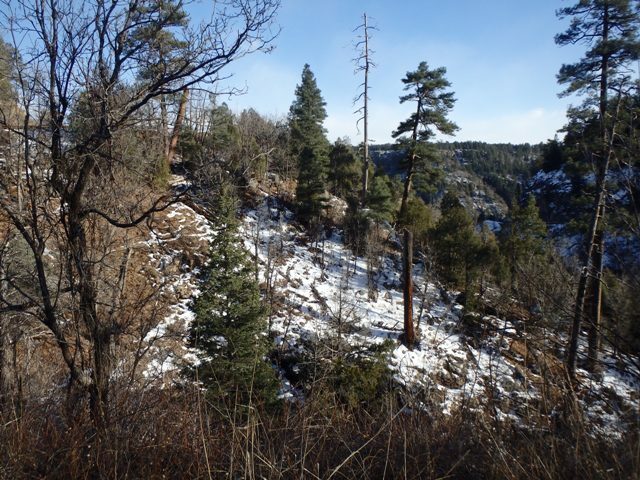 These early inhabitants of the Sedona area and its surrounding mountains, valleys, and rivers lived there 1,500 years ago. Anthropologists call the early natives “Sinaqua” – without water, and they flourished from about 600 to 1400 AD. For some reason, the early people migrated out of the area, and the Yavapai and Apache peoples moved in. And their descendants still live here. It was their people who were unceremoniously kicked out by the incoming tribe of Europeans. But it’s easy to forget the travails of the mundane work-a-world when your eyes lift up and gaze upon the rich hues that nature has swaddled the valley with. The redness simply grabs your attention and you lose track of what ails you. 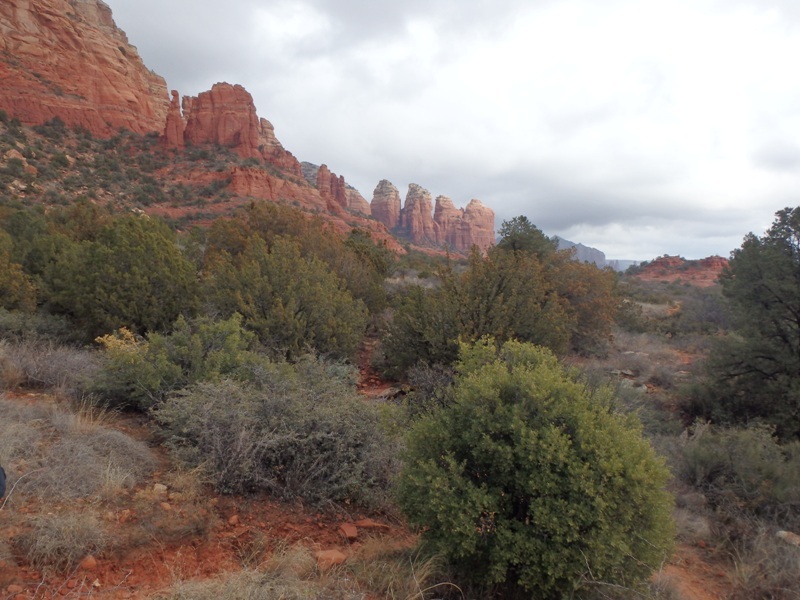 Despite all the modern, gated-communities and the continued construction of new mini-malls at Sedona, its surrounding red hills still beckon those willing and able to leave the proverbial beaten trail for the adventure of a nature gone crazy. 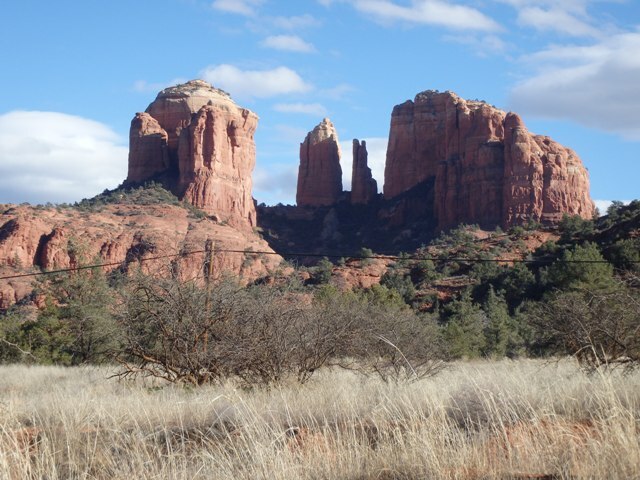 Sedona – a jewel of the west. No wonder there are so many California license plates here. Too cool – thanks for both the photos and the mini history lesson! Coming from you, I’m sure Ol’OB Hippie would be very grateful.